Hope you and your family have a safe and candy-filled holiday. CC has been rocking the Snow White costume (a popular choice this year among preschooler girls) since Friday. She dressed up for a school parade, and today she's ready to do some serious trick-or-treating. Can't wait to see her go door-to-door in search of goodies! I was really heartened to read all of the stories readers shared about helping their kids and/or students stay in school. Going to class every day is so important, and it's vital to let kids know that they are wanted in the classroom and are missed when they aren't there. Also, reading what moms and dads had to say about encouraging their children by asking about their day, bringing learning home and making sure they get to the bus on time is so encouraging. I wish I could give gift cards to everyone who posted a comment, but, alas, I can only choose one. Please email me at losangelesstory@gmail.com with your address, and I'll send it over right away. Pinkberry, that super-delicious frozen yogurt franchise that originated in West Hollywood, has just introduced a new holiday flavor -- pumpkin -- and they were kind enough to drop off some gratis samples. CC and I are huge fans of the fro-yo joint, so I was not about to turn down complimentary Pinkberry -- especially the pumpkin-flavored variety that comes with whipped topping, graham crackers and a light dusting of cinnamon. With pumpkin, I was expecting a milkier version of the famously tart treat, but not so. That tartness actually makes the pumpkin flavor taste lighter and gives it a nice tweak. Oh, yes, we'll be back for more -- but only until the end of the year, when the flavor will go into hibernation. GIVEAWAY UPDATE: Congrats to Miranda, who won a copy of Nancy O'Dell's book, "Full of Love." (Decision courtesy of Random.org.) 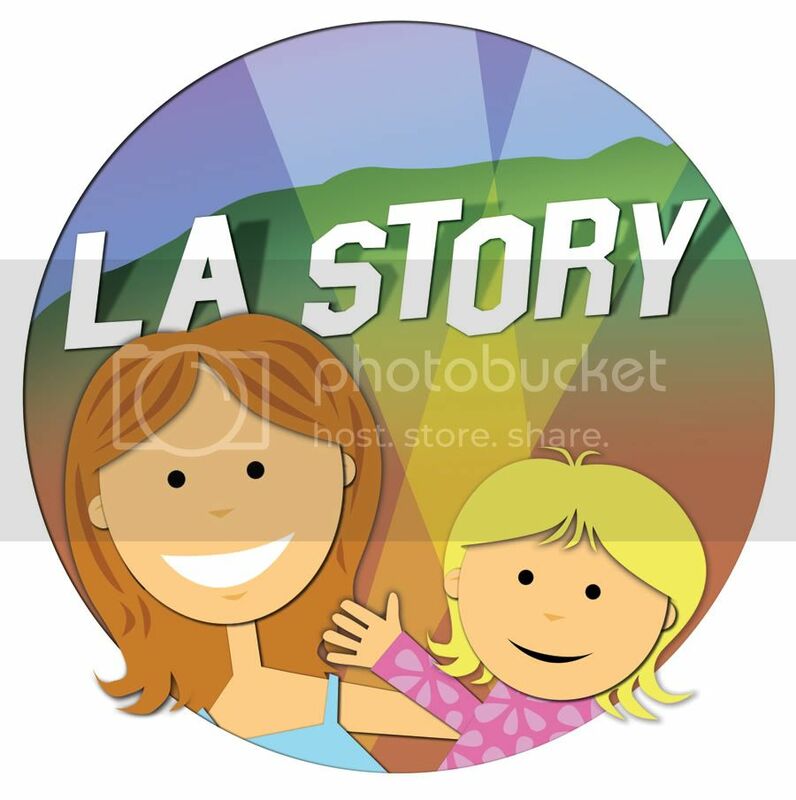 Please email me at losangelesstory@gmail.com with your address. Thanks to everyone who participated! Who knew Nancy O'Dell was such a scrapbook superstar? O'Dell joined her husband, Keith Zubulevich, and other celebrity friends, including Alison Sweeney, Jeff Probst, Nia Vardalos, Greg Vaughan and Shaun Robinson, on the red carpet at the SLS at Beverly Hills Hotel and invited guests to create a scrapbook -- or Album of Hope -- for their children to show them just how much they are loved. The book's full title, "Full of Love: Mom-to-Mom Advice for Enriching Families With Simple Photo Albums and Scrapbooking" really touches on how meaningful a scrapbook can be for kids' self-esteem. It's amazing to me to think about how many photos upon photos we have of CC that are just stuck on the computer or memory card that should really be in albums for her to see and enjoy. This is definitely a kick-start! I'm giving away 1 copy of Nancy O'Dell's book, "Full of Love," with a forward by my fellow Okie Garth Brooks. Just leave a comment below, telling me why scrapbooks are meaningful to you or why you would like to start a scrapbook of your own. Good luck, and I'll announce the winner Friday, Nov. 12! CC shows off her moves during the baby dance-off at Baby Loves Disco. There was some rockin', some rollin' and even an attempted handstand or two on Sunday at Baby Loves Disco in Hollywood. The kid-friendly event, presented by retailer H&M and benefiting childhood cancer charity Alex's Lemonade Stand Foundation, offered up tunes from Lady Gaga, Ke$ha, Miley Cyrus and more -- and most of the kids and parents were getting in on the action. Although CC hung back at first, preferring to literally try her hand at designing a sock puppet (left, with Lisa Carey from MomsLikeMe.com) and play with toys in an adjacent play room, she eventually made her way to the dance floor and showed the other tykes her preschool moves -- which was actually a really sweet tribute to her ballet class. The dimly lit second floor of Cinespace had all of the club accoutrements you'd expect from nighttime festivities -- Hello, disco ball! ; Hello, bar! -- and it was a little surreal to see some parents sipping wine at noon in a club space while watching their costumed 2-year-old bounce up and down to "Bad Romance." That's not to say there weren't other kid-friendly activities if the little ones weren't ready to dance. In addition to the toy/reading room (where I caught up with Ana Flores from SpanglishBaby.com and her daughter), there was also a craft room, where kids could color, make puppets and get their faces painted. CC chose to be a tiger. "What do you want to be?" I asked. "Roooaaaarrrr!" she answered. 'Nuf said. One great part of the event was Baby Loves Disco's wristband system, in which they wrapped an orange band around CC's wrist and gave me the stub. "It's like a baggage tag, but for your kid," one of the reps told me. Which was all fine and good -- until I couldn't find the stub on our way out. The bouncer asked me if I had it, so that he could match the numbers and let us go, but I was at a loss. "Is there some other way I can prove she's my daughter?" I begged, er, asked. He looked at her, and then he looked at me. Luckily, I found it at the bottom of my purse, and I was able to leave safely with my cub, er, child -- who, once I strapped her into her car seat and turned on the engine, promptly fell asleep. CC prepares for a spot of tea at downtown's Millennium Biltmore Hotel. Sometimes I feel like an Indiana Jones-style adventurer when I'm out exploring the city on any given day. Of course, instead of a dusty leather jacket and whip, I'm usually sporting a travel-size pack of Kleenex and Band-aids. In any case, my latest adventure involved a gorgeous afternoon tea at the Millennium Biltmore Hotel in downtown L.A. to celebrate my friend and former Variety colleague Lisa, who recently scored an awesome job at L.A. Weekly. Another friend and Variety veteran, Shali, invited several journo friends to toast the occasion, that is with Earl Grey or Bombay Chai. Shali (pictured right) was more than gracious when I asked if I could bring CC. "Bring her!" she emailed, without the slightest hint of trepidation. The Biltmore, across from Pershing Square, is truly magnificent. Lots of architectural ornamentation and history that dates back to the 1920s. And no surprise that we saw at least three different brides and their parties walking down into Rendezvous Court, where we were seated. But were we formal? Not in the slightest. CC immediately donned her purple foam crown and pulled out her plastic pink hippo to accompany the service. She sipped from her "Baby Tea" (aka milk) and sampled a mini chicken salad sandwich on cranberry wheat bread; scones; and, of course, pastries. And then she wanted to play. There was some running around, some climbing under the table, and then she decided she wanted to put on a show next to the nearby Baby Grand piano. And on her trip to the loo, CC insisted on trying to engage the poor woman behind the door next to her in conversation. "Whooooo iiiiiissss iiiiit?" CC chirped to no avail. I smiled, I gritted my teeth and ultimately accepted that my child is 3 years old and curious. I explained to her that not every place is a playground and that sometimes we need to sit still. I'm not sure how much of that sank in, but I'm still happy I took her. I got to see my friends, had the chance to explore the Biltmore, and CC got a taste of something elegant that will be available to her whenever she wants. After all, L.A. is her oyster -- well, maybe more like her animal cracker. 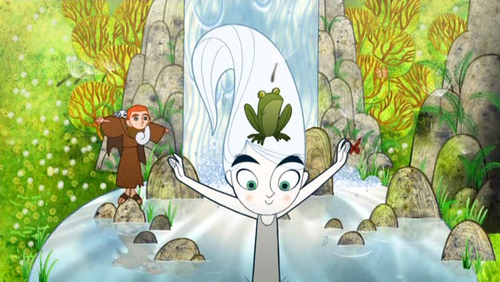 Congrats to Mike, who won "The Secret of Kells" DVD! Thanks to everyone who participated -- and to my more decisive compatriot, Random.org. Mike, just shoot me an email at losangelesstory@gmail.com with your address, and I'll send it along. Stay tuned for more giveaway goodies this week! Actress and L.A. mom Caroline Aaron has never been so excited about a job, she said, as the one she's working on right now. 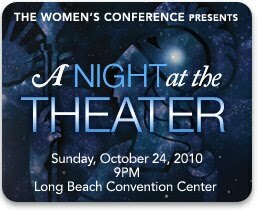 That job just happens to be the one that will culminate in a one-night performance of "Love, Loss, and What I Wore," tonight at 9 p.m. at The Women's Conference, an annual event created to celebrate and empower women organized by California First Lady Maria Shriver. And as a mother in Los Angeles -- and particularly as the mother of a 9th grade daughter -- Aaron has particular insight into what it means to empower not only herself but also her child. 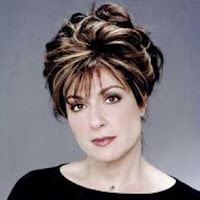 The play, a series of monologues performed by five actresses (including Aaron) that was adapted from Ilene Beckerman's book of the same name by Nora Ephron and Delia Ephron, and directed by Rita Wilson (who also stars), humorously examines the emotional relationship women have with their clothes. It was "the idea that all of these incredible women are going to be there who have been really titans in their field," Aaron told me over the phone, that had her so thrilled. Besides Wilson and Aaron, the other actresses who will be performing are Tracee Ellis Ross, Carol Kane and Natasha Lyonne. This is a first for Shriver's annual conference, which runs Oct. 24-26 at the Long Beach Convention Center. "A Night at the Theater," as tonight's event is called, was added just this year and sold out within minutes of its announcement -- a real testament to the power of all involved. "I did this show at the Geffen Theater," Aaron explained, "and Maria Shriver and Arnold Schwarzenegger came to see a production that we did (there). I think (Shriver) was very excited about the idea that women can be defined by the clothes that they wear, emotionally." That's when Shriver decided to add "Love, Loss, and What I Wore" to the lineup, not only as a part of the conference but to actually kick off the event. "All of these monologues are true stories," Aaron said about the play. "(Nora and Delia Ephron) used the book as a frame, and they sent an email, as I understand it, to a lot of their friends and said just to write them stories about certain clothes in their lives that have had an emblematic meaning to them -- what did it mean ... whether it be a wedding dress, a prom dress or something that had been bequeathed to you by your mother, anything like that. And they had this variety of stories they configured into an evening." Aaron plays several roles in the play, among them a woman who can't seem to find the right purse to make her life work; a woman married to a man who went to jail shortly after they fell in love, and what she wore to visit him; and a woman who has a hard time trying to find something to wear to disguise her weight. "I also play a woman who goes for a bra fitting in New York City and what the experience is like for someone to manhandle your breasts while they're trying to put you in the right bra," she added with a laugh. "The one that Nora wrote about the battles that I have with my purse," she said. "There's a line in the monologue that I really relate to, which is, 'Every time I go out of the house I take my purse and feel like I'm relocating.'" "It's about how you're so weighted down with your life," she added. "You don't want to forget anything because you know if you don't have that, then you're screwed." But it's really those children -- our daughters -- that we hope will also be empowered by the support they feel from their moms and from everyone else in their lives. It's a struggle, though, as Aaron admitted. "I try and work against the tide," she said. "One of the things that happened this year in school was that they sent her a reading list, and all the books (for 9th grade) that they sent her were great, great classic pieces of literature, but men were at the center of the story. And I said to her, 'This isn't right. They should have a story with a woman at the center.'" Little girls need to have a sense of themselves, she added, but "I think the culture is constantly conspiring to tell us that men come first, and so I'm always trying to point out to her who are the heroines of our society as well as the heroes -- because I think the heroes are getting a lot of press, and I don't think the heroines are getting as much." CBS Los Angeles: Indoor Play Spaces in L.A.
With this drizzly, chilly, rain-puddly weather, it's nice to have a few indoor options where kiddos can run, jump and play. Please check out my latest post on CBS Los Angeles: "Best Indoor Play Spaces in and Around Los Angeles" for plenty of tips on where to take the little ones when it rains. Ironically, our normally sunny and warm city offers lots to do indoors. Awesome for days like today. Being green might not be easy for Kermit, but when it comes to maintaining an eco-friendly lifestyle (aka the other green), actress and L.A. mom Mayim Bialik has it down cold. "I think people assume when they hear 'green' or 'holistic parenting,' that it sounds like more work than they're already doing," says Bialik, "but we've found that simplifying our life has been a real key to green parenting." I had the chance to chat with Bialik over the phone after missing her at the Alive! Expo Green Pavilion and Mix Media Lounge at West Hollywood's London Hotel in August. Tucked into the Kensington Ballroom were all sorts of environmentally friendly products, including the adorable electric Ped E cab, a stylish and California-made electric tricycle (for adults), as well as the handy organic insect repellent Bug it Off from Greenerways. The mom of two boys (ages 5 and 2), who also happens to have her PhD in neuroscience (Awesome! That must help out during her guest appearances this season on CBS comedy "The Big Bang Theory"), is literally writing the book on green and holistic parenting. She's working on a manuscript for Simon & Schuster that will offer accessible information to parents who want to live a greener lifestyle. She stresses, however, that it's from her own experiences as a holistic mom. "Since I'm not a pediatrician, and I don't presume to know how anyone should raise their kids," she offers, "I've basically written a book about the things I believe children need and what that looks like in our house." Bialik also takes a look at "what it's like to be a consumer in this society when you're a parent. That's been huge for us to scale down and see what's really, really necessary," she says. And when it comes to cleaning products, Bialik also says that simpler is better: "Our pediatrician likes to say, 'If you wouldn't eat it, throw it out." "I'm not saying I have to sit here making elaborate concoctions," she adds. "I'm saying baking soda mixed with a little water is enough to clean my bathtub. Also it creates a less toxic chemical environment for your whole house." So what caught her eye at the Alive! Green Expo? Like me, it was the organic bug repellent, made with water, citronella oil, orange oil and lemongrass. Being a busy mom herself (what with acting, writing a book and serving as a celebrity spokesperson for Holistic Moms Network, in addition to just parenting), Bialik points out that cultivating a more eco-friendly household doesn't mean changing your lifestyle completely. "It's easier than you think," she says. "I think people think that I have a staff of nannies ... I really don't. I don't have time. I don't have time or money to have someone else do it for me. I really have found the easiest, cheapest way to do things, and that seems to be what's working." "The Garfield Show: Odie Oh!" 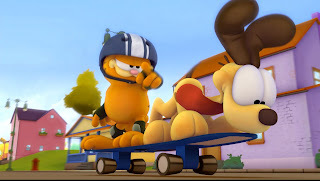 A certain orange cat from the late '70s and '80s is bringing lazy back, this time with new stories and CG effects fit for the digital generation in the recently released DVD "The Garfield Show: Odie Oh!" from Vivendi Entertainment. Garfield is up to his old pesky tricks, tormenting poor pooch Odie, confounding owner Jon and trying to inhale as much lasagna as possible. The 72-minute DVD (SRP $14.93) offers up five fun stories on a preschool platter that take little ones on adventures around Garfield's neighborhood. It was funny watching "The Garfield Show" with CC, as this feline fella was a character I grew up watching myself. Like Strawberry Shortcake, this is one '80s relic that seems to actually have life after acid-washed jeans and feathered hair. The two episodes CC found the funniest were "From the Oven" and "The Amazing Flying Dog," the first being a silly mash-up of Frankenstein, King Kong and the Food Network -- if you can imagine -- and the latter offering up Odie as a potential superhero. In fact, that's exactly what CC said: "Look, Mommy! He's a superhero dog!" "Look at that cake, Mommy! It's climbing the building!" said CC during a particularly harrowing moment. The stories are silly and fun, and for a 3-year-old like CC, there's no baggage associating "The Garfield Show" with a decade long gone -- or with that less-than-stellar movie from 2004. As for lasagna, she's a fan anyway. Special features include Garfield shorts and Garfield masks and wallpaper for download. 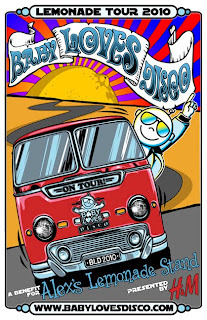 Ready to rock out with the kiddo for a great cause? Well, Baby Loves Disco -- that awesome dance party in the daytime -- is once again hitting Los Angeles, and parents, grandparents, toddlers and preschoolers are invited to join the fun Sunday, Oct. 24 from 12 p.m.-3 p.m. at Cinespace. The event, presented by clothing retailer H&M, is making its way across the country on a special Lemonade Tour to benefit Alex's Lemonade Stand Foundation, a nonprofit organization that supports research to combat childhood cancer. 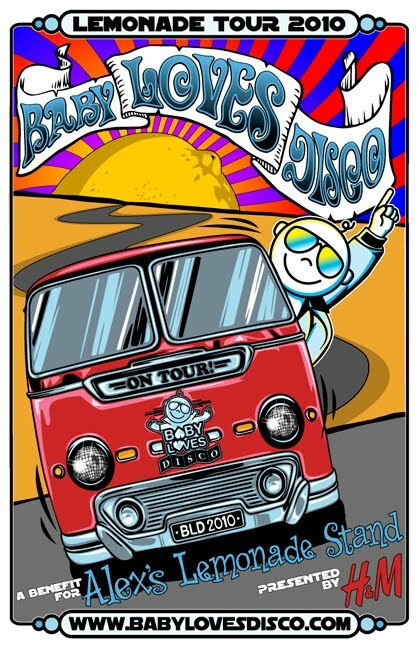 Baby Loves Disco, which got its start in Philly five years ago, has DJs spinning tunes from the '70s, '80s and today, transforming rockin' venues into child-proof discos. Now that definitely rocks! Halloween and Mourning Tours begin this weekend at Heritage Square Museum. Looking for an alternative to the Halloween pumpkin patch? 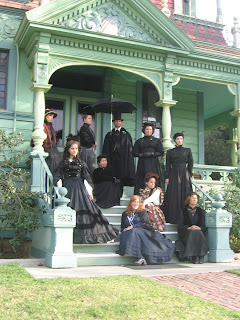 Heritage Square Museum -- home to a variety of Victorian-era houses -- is hosting its seventh annual Halloween & Mourning Tours on Oct. 23-24 from 12 p.m.- 4 p.m. each day. Get your ghost on at this spooky event, which will even play host to a paranormal investigation performed in partnership with the International Community for Paranormal Investigation and Research. Eek! On Sunday, Oct. 24, the festivities will include kid-friendly activities. Children are encouraged to come in costume to the museum, where they can play period games, create 19th-century-inspired crafts, pick a pumpkin and listen to ghost stories from the San Gabriel Family Storytellers. 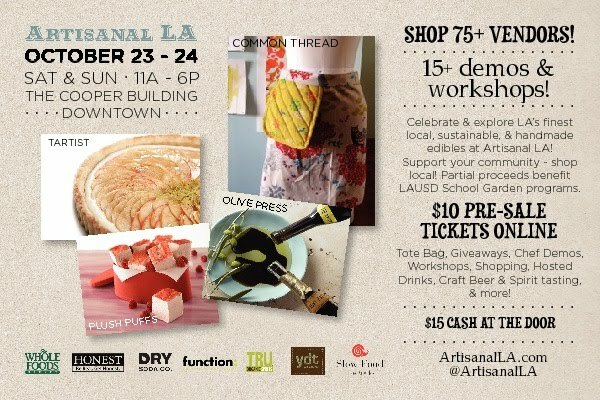 Artisanal LA, the inaugural downtown foodie event celebrating community through yummy local fare, will be cooking up some tasty fun Oct. 23-24 from 11 a.m.-6 p.m. at The Cooper Building. Hungry L.A. denizens are invited to sample goodies from local outlets, including Cake Monkey Bakery, Sweet Detente, Tartist, Compartes Chocolates, Sugarbird Sweets & Tea and Rawk-N-Roll, among many, many others. Kids can also join in on the fun by making pumpkin-themed arts and crafts. And don't forget about the plethora of panels. Visitors will be able to learn about everything from sustainable caviar to biodynamic wine pairings. Added bonus: Partial proceeds benefit LAUSD School Garden Programs. As I've written before, there's something so special -- as a mother -- about taking your daughter to the ballet. But there are few things more pleasantly heartbreaking than watching your daughter plié and jeté -- and love every minute of it. That was the case on Friday, when her teacher invited parents to watch a performance at her preschool. Ian and I were near tears, as she twirled and bowed in her little pink tutu and ballet slippers. What could possibly be cuter than this? Well, turns out there was something. A couple of weeks ago, CC had overheard me say that when I was 3 years old, I had blown a raspberry at the audience during my first -- and only -- ballet performance. She'd thought that was funny and proceeded to blow raspberries for the next 5 minutes. What had I done?! Did this mean she was going to re-create my onstage embarrassment? Was history going to repeat itself because I hadn't waited until she was safely out of earshot before I told that story? Luckily for us, that wasn't the case. When she saw Ian and me in the audience, she smiled. And instead of blowing raspberries, she blew kisses. Like I said, heartbreaking -- but in a good way. attendance pledges before receiving Old Navy shopping sprees. Old Navy is making school attendance a lot more fashionable. The clothing company -- which is a favorite in this house, btw -- last month partnered with four schools in the Compton Unified School District to encourage their students to attend school every day. Old Navy randomly selected 200 students from these schools, and after they signed an attendance pledge, they received $50 to use for their own in-store shopping spree. 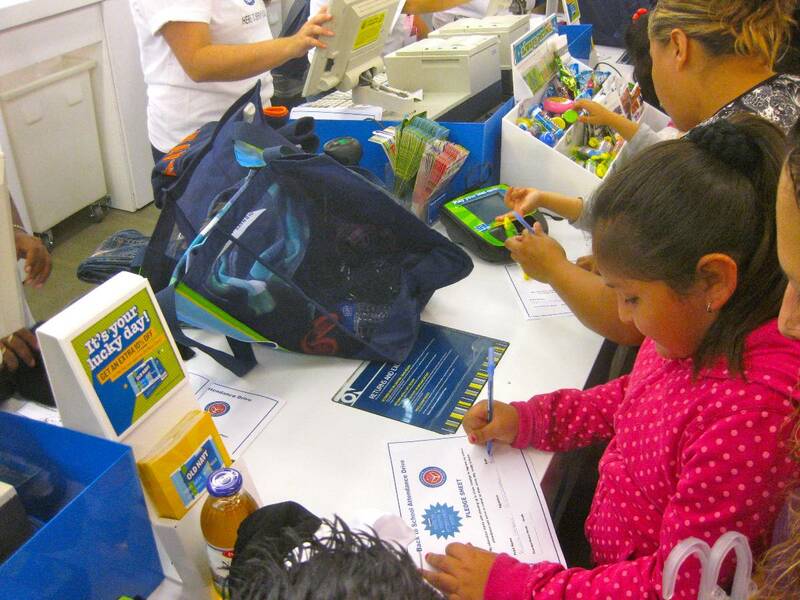 Old Navy will continue to reward students who make the grade by giving away prizes to those who demonstrate perfect attendance during the school year. Of course, kids should want to get to class anyway, but it sure doesn't hurt to score a great outfit in the process. "How will you encourage your child to attend school this year?" Good luck, and I'll announce the winner Friday, Oct. 29! Now, get those kids to school! Last month, I had the awesome opportunity to head over to The Jim Henson Studios on La Brea to meet a fantastic and crafty mom, who has recently launched the second season of her Disney Online Web series, "The Possibility Shop with Courtney Watkins." A few other moms and I watched a taping of Watkins' 3-minute online show, which offered creative yet easy ways to make fun keepsakes for the little ones. That day, Watkins was showing viewers how to make a picture frame out of a cereal box. Now that, I can do! The fairy-tale-like set -- a crafting table surrounded by bookshelves bursting with colorful knick-knacks and supplies to kick-start Mom's imagination -- complements Watkins' energetic and engaging personality. A teacher, artist, author and mom herself, Watkins adds excitement to simple activities that sometimes get short shrift in our busy households. 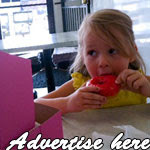 Highlighting holidays and themes such as Halloween (check out the above video), Father's Day and Winter Wonderland, the 20 webisodes planned for the second season, running through August 2011, present fun ideas in manageable 3-minute bites. "Whether it's designing and building a haunted house, offering instructions for a make-your-own board game, jump-starting a conversation or finding ways to carry the spirit of the holidays throughout the entire year," said Watkins in a statement, "season two of 'The Possibility Shop' is going to energize parents and kids alike to pursue the infinite possibilities for everyday creative adventures." Now, where's that empty cereal box?! Please check out my latest post on CBS Los Angeles: "Weekend Picks for Families (Oct. 15-17th). From Dora the Explorer on stage to a spooky Halloween train ride, there's lots on tap for Mom, Dad and the kiddos. When I lived in New York a million years ago, my awesome roommate, Allison, would always have a cooking show on, offering up spirited tips from the TV. I've never been a kitchen connoisseur, so for me, the shows were mostly background noise -- a chirpy hum that competed with the honking horns and random shouts from the bar outside our window. What I was missing, though, was the entertainment factor. Cooking shows -- even for culinary wimps -- can be really fun and helpful. Now that I'm a mom and want to become better friends with my pots and pans, I find that chatting up cooking experts -- who have great shows themselves -- has been a huge help in setting my mind at ease. While I'm not Julia Child, Bobby Flay, Roger Mooking or the newest Cooking Channel personality, Nadia G. from "Bitchin' Kitchen," I'm a lot more comfortable experimenting with basic dishes. Chicken? OK, so I still am a little bit. An Italian-Canadian comedian with tons of personality (hello, cooking in stilleto heels with a guitar spatula on zebra-print floors! ), she offers fun and sometimes touchy themes for each of her episodes. (If you check out the above video, you can find out how to cook for your soon-to-be ex. Awk. Ward.) Other episodes feature "Recession Recipes" and "Impressing the In-Laws." But it was the combination of food and family conversation that really inspired her show. "I grew up in a food-obsessed Italian family, and the kitchen was pretty much the heart of the home where we ate," Nadia said, "but it's also where we talked about everything, from current events to heartbreak to the recession. You name it, this is where all the conversations went down, and it was always over some good food." "So, with 'Bitchin' Kitchen' we do the same thing," she added. "We talk about juicy topics every week, and we have a great meal to go along with it." The show is definitely juicy and appealing for a new generation of fans, but families -- and particularly teenage girls -- have also been getting in on the fun. "Younger kids love this show because there are a lot of different levels to it," Nadia explained. "You can watch it for the great meal. You can watch it for the comedy. You can watch it to sneak a peek at the awesome heels or the wild fashion." "Younger kids grow up in a time where they multitask," she said. "Everyone's got five programs running, and I think having a show that works on multiple levels is exciting for them. Because we bring in the comedy and the rock-and-roll style and attitude, it really brings out the cooking to younger people, who would not necessarily sit down and watch a cooking show." "It's kind of like sneaking broccoli into your pasta sauce," Nadia added. "We sneak the love of food and cooking into 'Bitchin' Kitchen' for younger people." Nadia even has tips for the youngest of eaters -- who can also be the pickiest. "Get them involved in the cooking process," she suggested. "Maybe take them out to the market and have them choose what vegetables or what food items are going to be featured that night, and because they're invested in the process, they're more likely to eat the meal." The most important element, Nadia stressed, was bringing a fresh attitude and style to the kitchen -- a good idea for moms, who feel as if they're hitting the repeat button a little too often for dinner. Even if it takes "a fun chain-mail tea towel or a hot new apron," she said. "Whatever it takes to make the environment brighter for you." "Bitchin' Kitchen" hosted by Nadia G.
Labels: Bitchin' Kitchen, Cooking Channel, Nadia G.
Featuring an adorable mix of silliness and playful curiosity, the DVD "Meet Pocoyo!," from NCircle Entertainment and Zinkia Entertainment, is fun for very little ones looking for a laugh. More emotive than chatty, the pint-sized Pocoyo (which means "little me" in Spanish) and his animal friends Elly the Elephant, Pato the duck and his dog, Loula, explore the world around them from a toddler's perspective. Narrator Stephen Fry -- yes, the British comedian -- is the talky one here, at turns encouraging and gently admonishing. After all, learning is all trial-and-error for most 3-year-olds like Pocoyo. The 47-minute DVD (SRP $6.99; both English and Spanish language tracks) is broken up into seven segments, which is great for tiny attention spans. The animation itself is simple -- no intricate scenery, just a few central images placed against a white backdrop, which brings the action front and center. In one episode that CC found particularly funny, "Sleepy Bird's Surprise," Pocoyo discovers that what Sleepy Bird is sitting on isn't actually a ball -- which is what it looks like to him. The CGI-animated TV series, which debuted on Nick Jr. this past summer, is geared mostly toward very small children, and makes simple concepts like eggs hatching and bubbles bursting playful and fun. Fry even engages the audience with questions about what Pocoyo is doing -- and sometimes, what he should be doing. While CC is a little old (whoever thought I'd say that about my 3-year-old?) 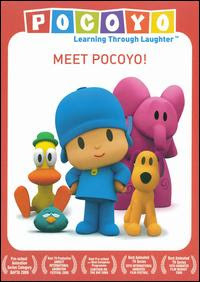 for this DVD, Pocoyo is a charming character who still had her smiling and answering Mr. Fry when he asked what the little tyke was actually holding in his hands. "An egg!" CC shouted to the TV. Enchanting and mesmerizing are two words that come to mind when describing "The Secret of Kells," a hand-drawn animated film about a young boy in a medieval Irish village who dares to venture beyond the fortified walls of his home to complete an illuminated book of faith and wisdom. With lively brush strokes that mimic the drawings in the sacred text, the film, directed by Tomm Moore and Nora Twomey, takes viewers on an a vivid journey that is at times both stunning and terrifying. The painted frames would be almost quaint -- what with this era of CG effects and 3D -- were it not for some intense and fiery images that show a countryside threatened by merciless barbarians. Brendan (voiced by Evan McGuire) is an orphaned boy living with his stern uncle, Abbot Cellach (Brendan Gleeson), in a village surrounded by dangerous woods -- a place forbidden yet enticing to the curious boy. When a master illuminator named Aidan (Mick Lally) arrives in the village of Kells, Brendan and a group of monks are taken with his incredible talent. 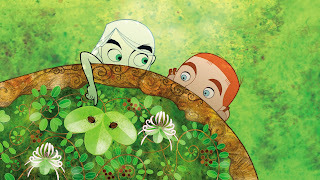 But while his life is centered on this important book (what eventually becomes the famous Book of Kells), Aidan tells Brendan that he can't learn everything in books and that Brendan must go to the forest in search of ink-producing berries. Openly disobeying his uncle, Brendan visits the forest, where he meets the strong-minded fairy/wolf-girl Aisling (Christen Mooney), who has some secrets of her own. With dreaded barbarians on their way, can Brendan help Aidan finish the sacred book before all is lost? I watched this film with CC, who was at times attentive and other times a little scared (barbarian silhouettes have a way of doing that), and while "The Secret of Kells" is better suited for older children and adults, its characters were still interesting to her. Aisling (pronounced "ASH-ling") was of particular interest to her, I assume because she was the only girl in the film. But it was the relationship between Brendan and his uncle that struck me the most. As a mother, I want to protect my daughter from harmful people and situations (and truthfully, I was a little miffed at Aidan for sending Brendan into the woods, knowingly disobeying his guardian), but it is that idea of letting go, of holding your breath and allowing your child to explore her passions that held me -- and, of course, terrified me more than any barbarian on earth. 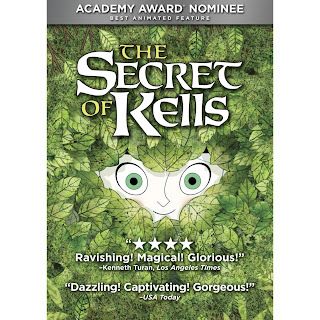 I'm giving away 1 DVD of "The Secret of Kells" ($29.95; from GKIDS.tv and Flatiron Film Company). Just leave a comment below telling me your favorite Irish story, actor or character. Good luck, and I'll announce the winner Monday, Oct. 25! CC plays with a TOMICA car and train set at B/HI Family Fun Day. I'm always a little curious about how CC will react when confronted with trains. Not that she's afraid of them -- she's definitely not. It's just that lately, my 3 1/2-year-old daughter has decided to divide the world up into basically two categories: Girl Things and Boy Things. And she's very firm about where certain items belong. Light sabers? "Those are for boys," she's said. Strawberry Shortcake dolls? A definite stamp of girl approval. The marketing and communications company hosted a kid-centric mini expo in West L.A., featuring many of the companies they represent, including TOMY Toys (the Japanese maker of die-cast toy car and train line TOMICA), Konami Games ("Karaoke Revolution: Glee") and THQ (maker of another CC fave, the uDraw GameTablet Wii accessory, pictured right). CC really enjoyed running the locomotive city, complete with pizza shop and convenience store. She loved pushing buttons that made cars stop and start, as well as watching them turn around and around on a circular ramp. It was great practice for her fine motor skills and her imagination. Oh, and the control! I could see she delighted in that as well. Once we got home, she couldn't wait to rip open the Tomica Patrol Liner box, holding a futuristic toy train, support vehicle and a boy-like Tomikids figure, which she received as a gift from the event. "Is this a girl?" CC asked, holding up the figure after we assembled the train. "It's whatever you want it to be, Sweetheart." Brooke Burke and yours truly at Cecconi's West Hollywood. "Dancing With the Stars" co-host Brooke Burke and I were all smiles at Cecconi's West Hollywood last week while talking about our kids. And specifically, about our kids' teeth. "I like to make it fun," Burke said about getting her four children (ages 2-10) to brush their teeth. "They come up to me and say, 'Smell my breath.' "
Like me when I'm getting CC to brush, she also pretends to wince a little at untamed baby's breath. The kids laugh, of course, but the message comes through: Good oral hygiene is important. That, and it makes your breath smell minty fresh -- or fruit punchy, depending on the toothpaste. Burke has teamed up with Oral-B, which is offering 50% off select Premium Power toothbrushes through Oct. 31, while also donating $25,000 to Operation Smile, an organization that provides free surgeries to children with cleft lips and cleft palates. "I'm blessed to have healthy children," Burke said, but she wanted to get involved personally to help other children as well. This partnership marks one of several connections that makes Burke a busy mom. In addition to working with Oral-B and co-hosting ABC's "Dancing With the Stars," she also runs mom-friendly website ModernMom.com. "Balance is a funny word," she said. As moms, "we have to be open to making it up as we go along." "I talk openly about work," she added, "why Mommy works." That said, she also makes time for the necessities that come with having a happy home life. "I take the kids to school," she said, "and I'm committed to obligations and priorities like family time with family." Note: Oral-B provided a gift bag for all attendees. Congrats to Bernadette, from blog Bern-Baby-Bern, who won the "Modern Family" season one DVD set! The episode, in which the Vietnam-born Lily says "Mama" to her Asian pediatrician, much to the dismay of her two non-Asian dads. That was a good one, and it had fun with the all-too-common parental paranoia of thinking your baby believes (that's not to say wishes) she belongs to someone else. Thanks to everyone who participated, and stay tuned for more DVD offerings! 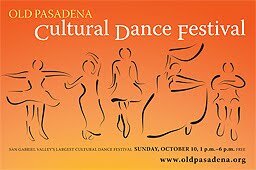 Performances showcasing dances from such countries as China, Mexico, Russia and Africa will take center stage at the inaugural Old Pasadena Cultural Dance Festival on Sunday, Oct. 10 from 1 p.m.-6 p.m. at Memorial Park. This free event, the finale of the three-day Pasadena ArtWeekend, will encourage audiences of all ages to not only watch the multicultural dancing but also to participate in it. Workshops in traditional Korean, West African and Rumba/Tango will be offered at the Lineage Performing Arts Center. Gamers can nerd up this weekend in Culver City at the International Festival of Independent Games, aka IndieCade. From Oct. 8-10, downtown Culver City (Main St. and Culver Blvd. will serve as the hub) will be transformed into a gamer's paradise, as local galleries and cafes will open their doors and host Game Walk, a free opportunity for visitors to play video games and meet their developers. In addition to panels, informal conversations and tons of game play, Mom, Dad and the kiddos can head over on Family Day (Oct. 10) to check out game presentations. While there are free events, some presentations require a pass ($95) or ticket ($10-$30). Click here for more info. Halloween is fast approaching, and the Bob Baker Marionette Theater is showcasing its holiday-themed production, "Bob Baker's Halloween Hoop-De-Do," from now through Oct. 31. Featuring more than 100 spooky marionettes, from the Purple People Eater to Roaring '20s Skeletons (pictured above), the show will give kids a live-action trick-or-treat alternative. And, of course, after the show, they can indulge in edible treats in the Party Room. As an added bonus, the theater will offer a $5 discount for every ticket purchased. CC and I caught a performance of Baker's "It's a Musical World" in July, and she absolutely loved it. The experience is really a must-do for L.A.
Another kid-focused network is prepping its debut on the airwaves. The Hub -- taking over from Discovery Kids channel -- will launch on Oct. 10 (10-10-10) and offer tons of child-friendly programming that's new and not so new. The joint venture between Discovery Communications and Hasbro will offer original programming, such as "Clue!" based on the whodunit board game and "My Little Pony Friendship Is Magic," as well as classics including "Fraggle Rock" and "The Wonder Years." "Peter Pan" is a stunner. The aerial-influenced show from author J.M. Barrie about the boy who would never grow up is playing on stage at The threesixty Theater -- aka, the giant, white, ice-cream-cone of a tent -- at the Orange County Performing Arts Center, and CC and I were thrilled to be in the audience on opening night. 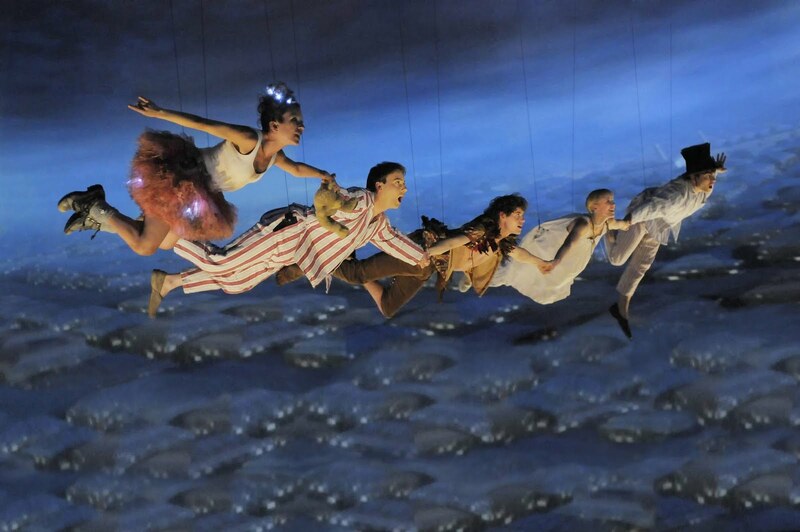 Already known for its literal flights of fancy, the production takes the aerial concept to the next level by adding an animated visual element, with sometimes-moving landscapes projected onto the interior walls of the tent. The effect? Breathtaking. Flying in through the Darling family's window to retrieve his shadow, Peter Pan (Nate Fallows) meets Wendy (Abby Ford), the Darling daughter who will accompany him -- along with her brothers, John (Arthur Wilson) and Michael (David Poynor) -- back to Never Land, where they will meet all sorts of characters, from the scrappy Lost Boys to the deadly Captain Hook (played with menacing humor by Jonathan Hyde, who also doubles as Mr. Darling). But before we head off on the adventure, the audience meets the ornery Tinker Bell (Itxaso Moreno), who's a little different from the Disney version. This one's all about pulling the rug out from rival Wendy. "Why is Tinker Bell not nice?" CC kept asking. "Well, Sweetheart, she doesn't want Wendy to be Peter Pan's friend," I offered, already dreading the tween and teen years when this will really rear its ugly head. But Tinker Bell was nothing on Captain Hook. The visual artistry of the show, directed by Ben Harrison and designed by William Dudley, however, made "Peter Pan" a true creative marvel. The sense of flying over London on our way to Never Land created the feeling of audience participation, a sensation no doubt enhanced by the 360-degree projected graphics. There were lots of ooh's and aah's. CC was a huge fan and already wants to see it again. "I liked every part of the show, Mommy," she said on the way out. "I liked Peter Pan and Wendy." Brian Kimmet, left, stars as a boy version of Hamlet in "Hamlet, Prince of Puddles." 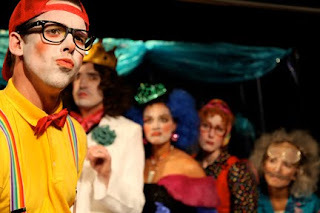 Mixing colorful costumes with slapstick humor and pop-culture references, L'Enfant Terrible theater company has turned Shakespeare's "Hamlet" into a tragi-comedy (emphasis on the comedy) for the family-friendly set in its production of "Hamlet, Prince of Puddles." Young children (mostly under 6) and their parents, including CC and I, gathered at the downtown-adjacent Bootleg Theater on Saturday to catch the 45-minute play that had the titular Prince of Denmark bursting into tears (and other puddles) over the death of his father and the subsequent remarriage of his mother, Gertrude (Natasha Midgley), to his devious uncle Claudius (cue to boo's). The adaptation, written by playwright Angela Berliner (who is also the founder of L'Enfant Terrible and stars as Ophelia) and directed by Justin Zsebe, was clever and offered lots of opportunity for laughs (who knew? ), making light of Hamlet's indecision (cue to the puddle) and referencing the popular "Twilight" series and TV phenom "Glee." However, the material often seemed better suited for tweens more than tots -- what with all the death and stuff, as well as some references that I found a lot funnier than CC. While CC wasn't crazy about the fight scenes ("That's for big kids," she said), she did enjoy the awkward almost-kiss between Hamlet (Brian Kimmet) and Ophelia (Berliner), as well as a chase scene between Hamlet and Claudius (Nathan Kornelis) that included a bit of audience interaction. The show is definitely a fun take on the Bard's play, and I could see parents enjoying the show along with their kids. The actors were all talented, energetic and looked as if they were having a great time giving children a taste of serious literature with a lot of sugar on the way down. And being a family-friendly company, L'Enfant Terrible made the atmosphere particularly child-friendly, offering tykes crayons and coloring-book programs to enjoy before the show. After the curtain, the actors made a point of mingling with the crowd in the lobby, happy to take pictures with their pint-sized fans. "I want a picture with Hamlet," CC said, as we were walking out of the theater. I have to admit I was proud. Here was my 3-year-old talking about Hamlet and Ophelia -- and we haven't even made it to "Wizards of Waverly Place," much less "Glee." Sometimes I forget just how supportive fellow mom bloggers can be. Luckily, I had the opportunity to be reminded of how awesome they are at fellow mom blogger (and vlogger!) Kimberley Clayton Blaine's party for her newest book, "The Go-To Mom's Parents' Guide to Emotion Coaching Young Children," at Montage Beverly Hills. Not only did I get to check in with Kimberley (aka The Go-To Mom), but I also got to see a ton of fellow moms, some of whom I only connect with in cyberland. So congrats, Kimberley! Can't wait to start reading your book (which you can find here)! Between the magical transformation of Cinderella's rags into a gorgeous ball gown and the star-studded levitation of Princess Jasmine, "Disney Live! 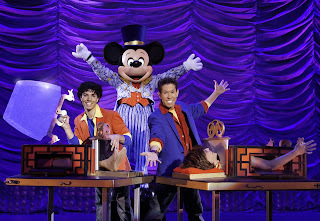 Presents Mickey's Magic Show" at the Long Beach Terrace Theater last weekend scored big with CC. 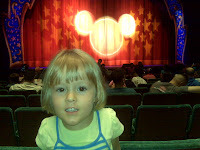 The touring show, presented by Feld Entertainment, combined singing, dancing and familiar-yet-clever tricks to keep little ones entertained, but it was seeing her beloved Goofy and Cinderella that kept CC on the edge of her seat. Tailored mostly to tyke sensibilities, grown-ups may groan a bit at a corny line here and there, but the master magician and his apprentice are enthusiastic enough to make it work. The tricks also come across as effortless, which adds to the fun. Seeing CC raise her little hand, hoping to join the pro magicians and characters on stage was also fun. While she didn't get called up to the big time, she loved vying for the opportunity.